"Fantastic authentic Japanese experience, very attentive & ge..."
Have a question for Nikko Narusawa Lodge? "Generally it was a pleasant experience staying here." "I enjoyed my stay at Narusawa Lodge for two days." "Great hospitality from the host, Yuji-san." Situated in Nikko, Nikko Narusawa Lodge is the perfect place to experience Tochigi and its surroundings. Only 1.2 km from the city center, the hotel's strategic location ensures that guests can quickly and easily reach many local points of interest. No less exceptional is the hotel's easy access to the city's myriad attractions and landmarks, such as Fujiya, Kousyuuya, Utakataã€€Kimono Rental & Photo Studio. Nikko Narusawa Lodge offers impeccable service and all the essential amenities to invigorate travelers. For the comfort and convenience of guests, the hotel offers Wi-Fi in public areas, car park, family room, laundry service, smoking area. Step into one of 7 inviting rooms and escape the stresses of the day with a wide range of amenities such as internet access – wireless, internet access – wireless (complimentary), non smoking rooms, air conditioning, heating which can be found in some rooms. Besides, the hotel's host of recreational offerings ensures you have plenty to do during your stay. Discover an engaging blend of professional service and a wide array of features at Nikko Narusawa Lodge. "Amazing place loved everything about it ! Host was awesome!" 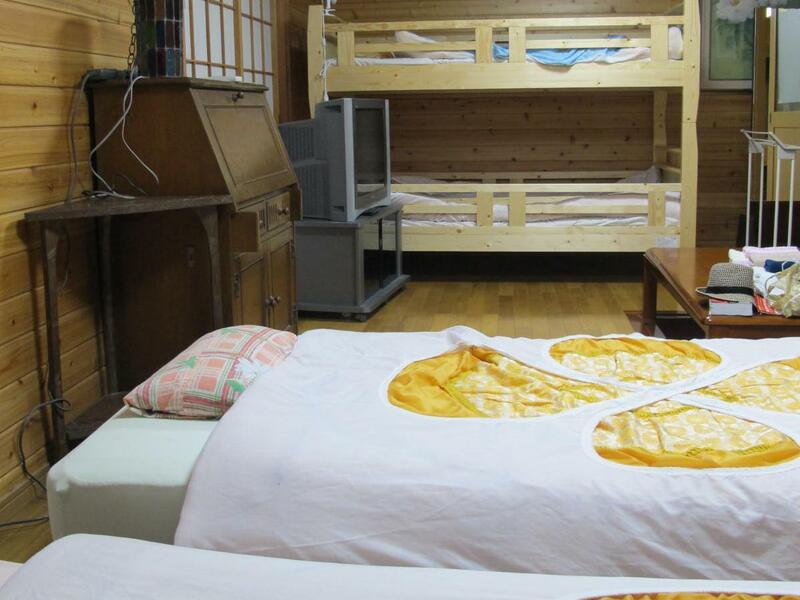 The owner (Yuji) will provide pick-up service from the train station which is 5-min drive from the guesthouse. The guesthouse is 20-min walk from the closest convenient store and the train station which is not a good idea to walk there when the weather is under 0 degree Celsius. But that has compensated with the kind hospitality of the owner who is always willing to help out with everything, there's even a sign in his house that says we can ask him for any help by knocking his bedroom door anytime (24h). It feels like staying at friend's house rather than a budget hostel/guesthouse. The owner is caring and helpful. This is our second stay here. It was a great experience staying at Narusawa Lodge. The host, Yuji-san, was really helpful and explaining everything in fluent english. He also knows a lot about the area, so he helps us a lot! The house is clean and homey, i feel like in my own home. It was lovely, and would be glad to come back again. Thank you, Yuji-san! Guesthouse host can speak fluent English and make us like staying at home, At night time host he drove us to a local secret hot spring bath house to enjoy Nikko's nice outdoor hot spring (800yen/person, not expensive). Generally it was a pleasant experience staying here. Very interesting little place not too far from the station on foot. Owner greeted us, showed us to our room and we didn't see him again (he seemed very friendly though). The room and facilities were covered in cute hand-written English signs with instructions (even in the toilet!). Futons were comfortable enough (be prepared for Japanese beanbag-style pillows though) but the WiFi was terrible (YouTube wouldn't even connect). Overall I'd recommend this place for a simple place to stay overnight, it wasn't bad at all. Friendly staff(Yuji-san), cute hotel & cleanliness. We are a group of 3 & we stayed for 2 night. Hotel quite far away from station but can walk. Yuji-san(staff) carried us by his car to the station everyday. He was very friendly & kind. Weather & surrounding was very nice, I love there & surely stay there when next visiting. My room was cleanliness & cute. easy access to one of the best outdoor onsen. decent space in the rooms with good shower facilities. only a little inconvenient as it is about 1.2km from the train station. so we have to carry our luggage all the way as there were no bus services and owner was busy & could not fetch us from the train station. The owner very kindly picked us up from the station very welcome since we arrived after dark--and also stopped by at the combini so we could purchase breakfast for the following day. He also suggested places to visit. The lodge is well-maintained and the rooms spacious. However, there were queues for the shower/bath rooms each morning. The lodge is 10-15mins walk from the train/bus station. Yuji-san, the person who runs the lodge is a very nice older man. His english was decent. I enjoyed my stay at Narusawa Lodge for two days. Yuji-san shuttles people for free to and from the local train station. He also recommends places to visit. I was happy with the service provided for the cost. Amazing place loved everything about it ! Host was awesome! They offer train station pick ups too! Great hospitality from the host, Yuji-san. Provided us with shuttle services and took well care of our stay to the meticulous details, even though it was only for a short 3 night stay. It's a nice place to take a test in Nikko area. 15 mins walk from Nikko station. Comfortable Japanese style room with air conditioner. We had a quiet and warm night to recover from an exhausted trekking in the lodge. Despite the cleanliness of the room (it's a bit dusty especially aircon), the rest are nice. there is a comfortable and big dining room with utensils provided, clean bathroom and toilet, and most importantly, the landlord Yuji-san is very friendly and helpful!! His English is very good! Mr Yuji was an extremely kind host who sat us down once we arrived to go through the sights in town, even without us asking. Hr provided us a map and was extremely detailed on what we can see and the amenities in the area (onsen, laundromat, food, etc). Everything in the pantry was also free for taking which I found extremely generous. The toilet and shower were clean although they were shared, and the room was of a very decent size. Location was not a problem as we drove. Enjoyed Nikko and wished we could have stayed there for more days. Glad we stayed 2 nights to see all the Nikko sights. One night is too rush. The lodge has all warm up food facility n free drink making provided. The host will pick up n send back to Tobu Nikko train station. Nice hostel, very friendly and helpful host who brought us to town to have dinner at a very good izakaya at his advice, and to the station when we left. The room and beds were very nice. The facilities and common room didn't feel very clean though. Ryokan is located not far from Tobu-Nikko station but a bit difficult to find but if you use google map, there is no problem. The ryokan is clean and comfort and provide basic kitchen tolls to use including tea and coffee. We get a good advice from staff for a few dinner place and good onsen place witch is very attractive. The lodge is clean and is great value for money. The owner is very friendly and speaks fluent english (not easy to find in the Japan suburbs). He even invited me to join him for drinks and breakfast. 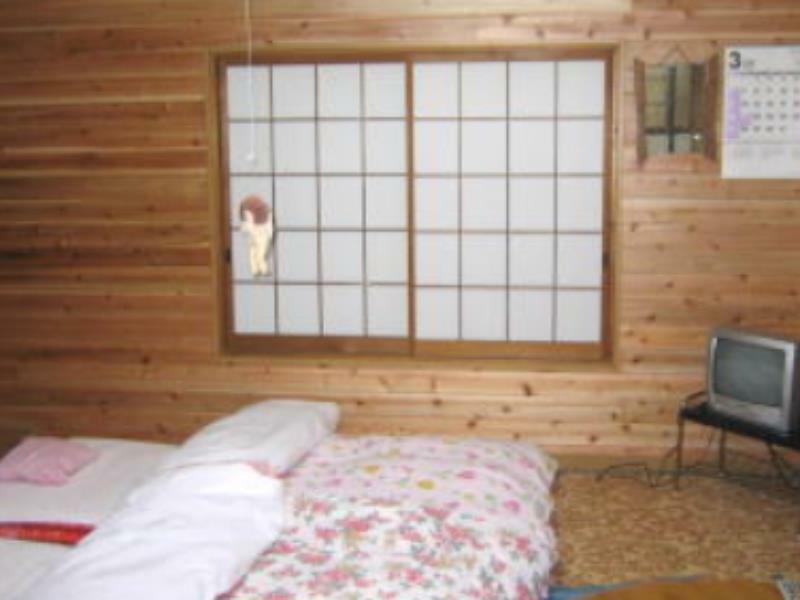 Would recommend any backpackers to stay here, or anyone who wants to experience staying in a traditional Japanese house.